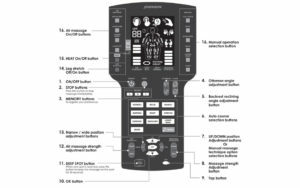 There are a few brands that have been building great massage chair products that aren’t well known and Johnson Health Tech is one of them. Their first line of massage products was released under Inner Balance Wellness and included handheld massagers, foot massagers, Zero Gravity Reclines, and the MC660 massage chair. 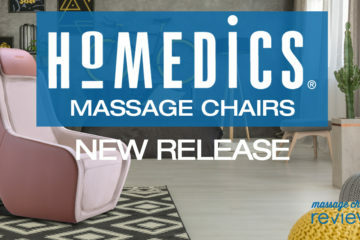 They have been working hard and just released three more massage chairs under their main brand of Johnson Health Tech. First in this line of cool chairs is the Johnson J6800 massage chair. Two 3D-head mechanism delivers a unique and realistic 3D massage motion that gently ease tense muscles in your back and shoulders. 31 airbags in the Pulse Air Massage system stimulates muscle fibers and enhances circulation in your shoulders, arms, hips, thighs, calves, and feet. The armrest position automatically adjusts in conjunction with recline of the chair back to ensure full contact with all massage surfaces. The heating pad relaxes your back or can be wrapped over your shoulders and arms/hands. A heating element in the footrest soothes the soles of your feet. 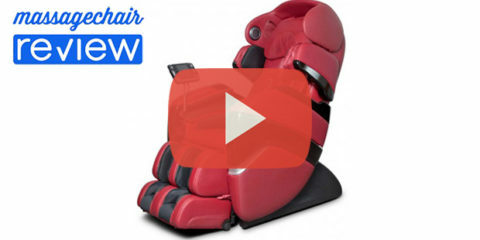 The Multi-functional footrest of the Johnson J6800 massage chair can be used as a traditional foot and calf massage mechanism or flipped to become an ottoman. The footrest uses airbags to massage your calf muscles, as well as the instep and soles of your feet – white a heating element relaxes and soothes the soles of your feet. The footrest also extends an additional 6” to accommodate taller users. With the push of a button of the Johnson J6800 massage chair, you choose from 11 pre-programmed massage courses: refresh, relax, shiatsu, morning, night, stretch, energize, shoulder, lower back, quick, and music. Or you are able to customize your massage experience by choosing one of nine different massage techniques for a full body experience: kneading, tapping, rhythm tapping, kneading & tapping, shiatsu, rubbing, rolling, sideways kneading, up-down kneading. You also have the ability to just focus on one specific area. Three memory settings are able to save your favorite massage programs for future use. 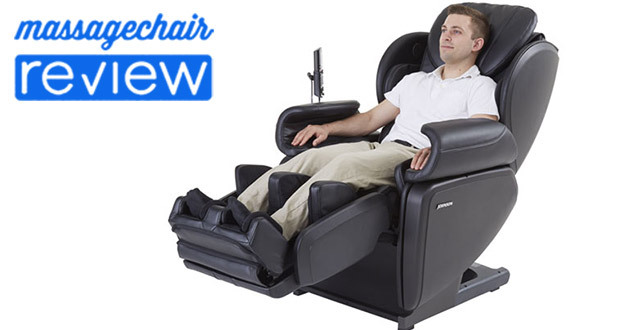 The Johnson J6800 massage chair comes equipped with a multi-point body scan system. It uses up to 11 different pressure points to customize your massage experience to the contours of your neck, shoulders and back. 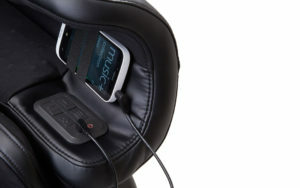 Built in surround sound speakers in the Johnson 6800 massage chair allows you to listen to your music with your massage or connect with your headphones. The “Music” massage program synchronizes the massage to your music choice for a unique and immersive experience. The Johnson J6800 is like many other premium chairs, it has a lot of extra functions. To make this chair good for not just massaging, but also for sitting, they’ve incorporated a reversible ottoman. 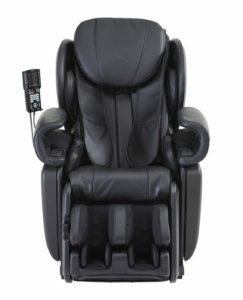 This is very similar to the Panasonic EP-MA70, which can go from massage chair to recliner very quickly. There is also a heating element for the feet and hands. During a massage you can put your hands into a piece of fabric that goes over the torso and is connected to the backrest. It can be used to heat the hands or chest. To add to the immersive effect of massage there is also a very easy to use MP3 player. Located in the armrest you can plug your MP3 into a universal cord and play music directly through the speakers located near the headrest. There are also fingertip controls located at the edge of the armrest that control the recline, and roller intensity. The Johnson J6800 is only available to purchase in store. 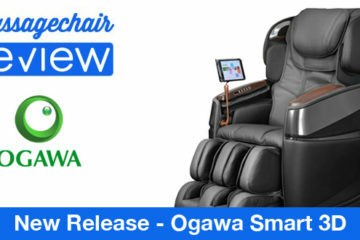 It originally retailed for 4999.99 when it originally debuted with online massage chair stores. The Johnson J6800 also comes with a 3 year in-home service, parts, and labor warranty. This is one of the more comprehensible warranties available. 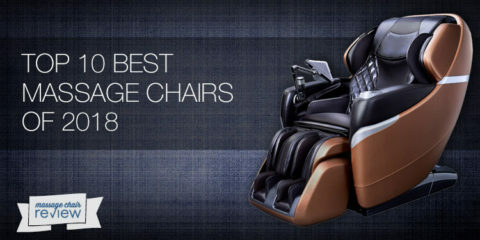 If you want to buy online you can always check top online massage chair stores to view other similar models. These would include models like the Osaki OS-3d Pro Dreamer, Fujiiryoki EC-3700, and Panasonic EP-MA70. Some of these chairs may have higher quality upholstery and warranties, but they will have similar 3D massage roller functionality. 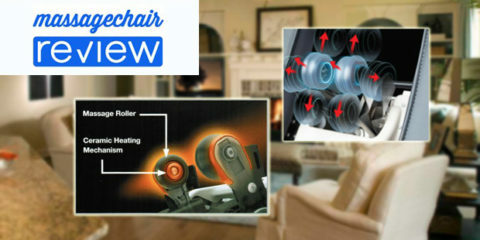 Stay posted for more reviews on the Johnson J6800 massage chair and other Johnson Massage Chairs. 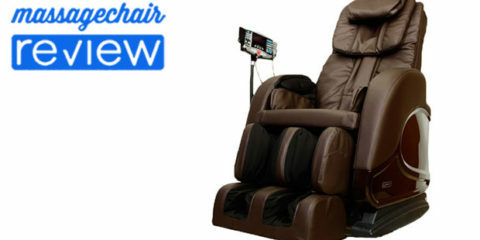 You can check out this massage chair and a wide variety of other brand of massage chairs at Emassagechair.com. 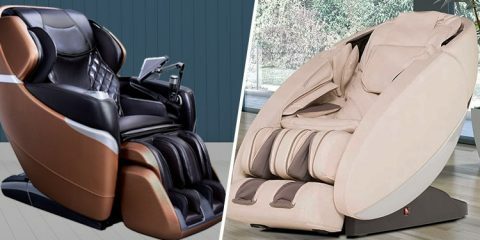 Any comments on the new ultimate massage chair III? I haven’t really heard of the Ultimate Massage Chair III which is weird because I know about a lot chairs. At first look it seems to offer some cool stuff but isn’t a brand name chair. The warranty also seems very strange and it looks like they would have to ship parts directly from China and have the owner deal with all of the assembly – this is a huge red flag. There are some older brands that I remember did something similar, like Kong Massage Chairs which lived a very short life and no longer around. I recommend buying from a reputable brand to ensure quality and the support they guarantee after you’ve bought the chair. Massage chairs are a big investment and quality and longevity should be at the top of the list. What’s the point of a good deal if it breaks or the company goes out of business. Anyways I hope that helps.